Should I Wait to Buy Property...Or Buy and Wait? Welcome to your August market update. This month we look at the question of should you buy now or wait for the market to stop? We examine the key reasons/ excuses buyers use to delay entering the market and the opportunity cost of waiting. 1. Should I Wait to Buy Property...or Buy and Wait? After helping over 2500 home buyers and investors secure a property, we have found that the number one thing holding most people back from achieving their property goals is simply “procrastination”. I am not saying that these things are unimportant (they very much have an impact) but unfortunately, they have so much impact on people’s confidence that they freeze up and do nothing. There are ways to overcome ALL these issues. The trick to achieving any goal (like buying a property) is to have a clear strategy and to take dedicated steps toward your goal every day. When I look back at my property journey, there are some critical times that really helped me move forward. I was super analytical and cautious with decision making around money (thanks to my economics training), and caught the disease “paralysis of analysis” which prevented me from moving forward. When buying my first home I was fearful of what might happen if interest rates rose. But with the help of others and a financial planner I could see objectively how to manage my limited cashflow and make ends meet. I had similar fears buying my first investment property and thought that taking on more debt was a very risking proposition. However, after learning how to recycle my equity safely, how depreciation works and how to pick quality properties, I was able to start building a portfolio. I hear a lot of talk from people saying they will “wait for the market to go down” before buying. What this view ignores is that despite the market cooling in both Sydney and Melbourne, prices are still rising. Yes, the foot has come off the accelerator, but the property prices are still tracking upward. My advice is simple: Buy property as soon as you can afford the loan. Buy and wait – ride out the property cycles. Don’t be out of the market for too long. Even in a cooling market prices are still rising. If you are delaying buying a $1m property then then you will be paying an opportunity cost of around $60,000 for delaying (assuming a 6% pa growth rate). How long will it take you to save $60k from your after-tax wages? If you do decide to wait, then this just delays the inevitable pain of paying higher prices down the track and may price you out of certain suburbs you desire. To give yourself the best possible edge to secure your next home or investment property, talk to one of my professional team of buyers’ agents who will make your property dreams actually happen. Instead of just thinking about it, call us on 1300 655 615 or tell us your enquiry / wishlist today. We are very excited about our next 2 seminars coming up in August and September. With industry leading speakers such as Terry Ryder from hotspotting.com.au and Nerida Connisbee from the REA Group - be sure to not miss out! What can you really believe in the media and where are the real opportunities now? Join Rich Harvey, CEO of propertybuyer and the President of the Real Estate Buyers Agent Association of Australia (REBAA), Terry Ryder of Hotspotting and Clint Ducat of Investor Success Network on Wednesday 23rd August at 7pm as we look at the difficulties consumers have in accessing quality information to discover what's really going on in the market. Terry and Rich will illustrate how unreliable most of the data that's published in mainstream media is, and talk about how you can access better information and make better decisions. Smart tactics for savvy investors. With the boom market now behind us learn how to get the inside edge for your next property investment. The market is changing, tax laws have changed and you need a fresh approach for your future investments. 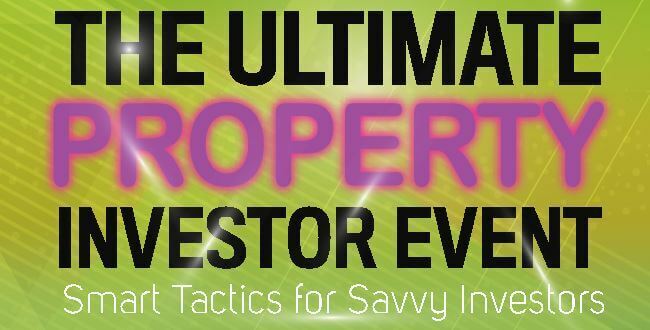 This event will sell out and is a once only event for smart investors that want to rapidly increase the knowledge and learn new strategies to make money from property.